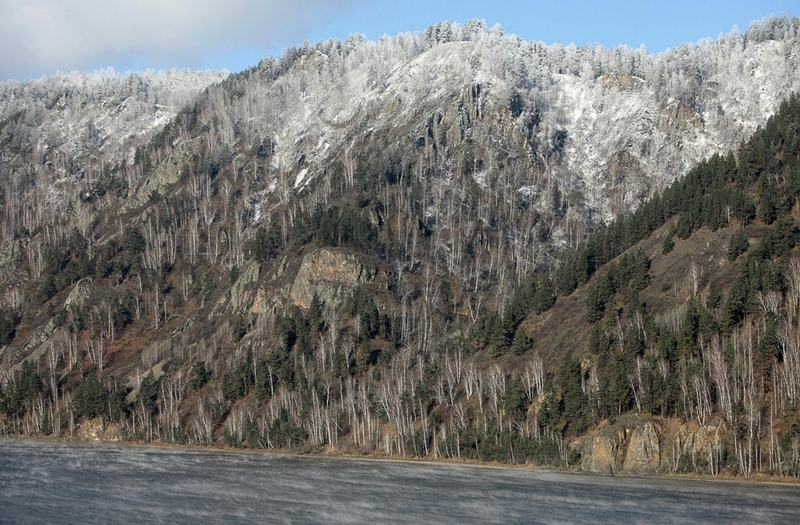 The Yenisei (the word means “the great river”) is a river in Siberia, one of the greatest rivers in Russia which flows into the Kara Sea of the Arctic Ocean. It provides supply, transportation and many other things for more than a million people. Look how the river changes throughout the year and how locals live. Early autumn 2012 at the river. 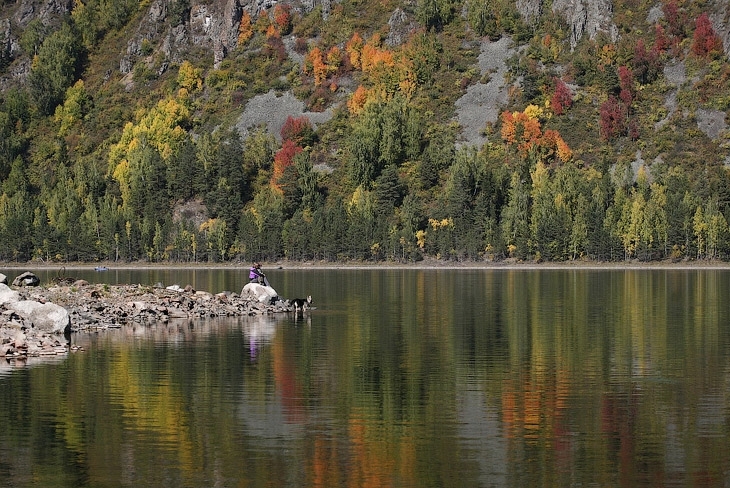 The name of the river originates from the Evenki word “Ionessi:” – big water. 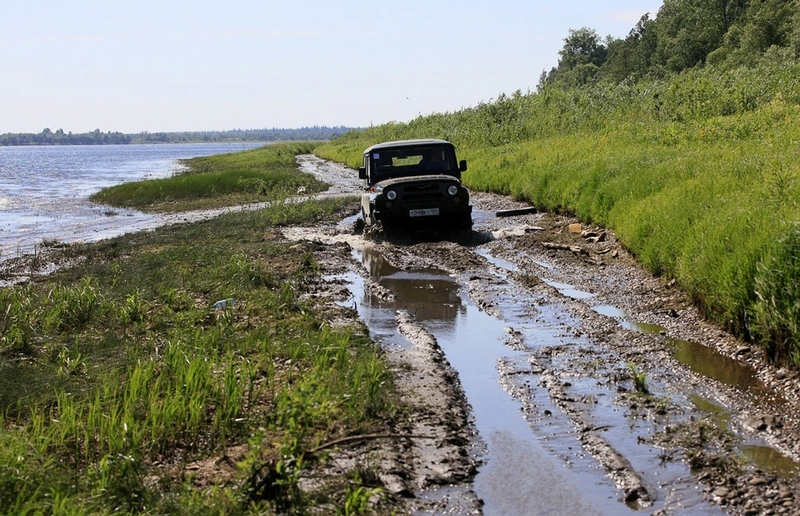 The length of the river is 3 487 km. 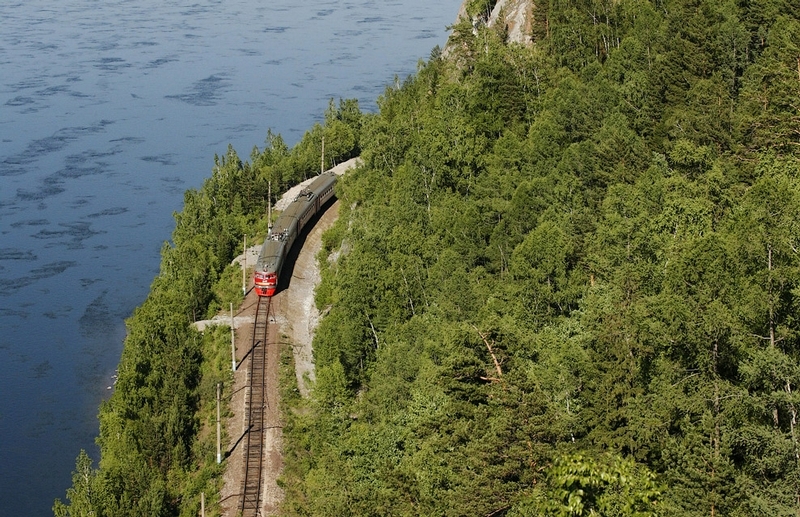 Train moving at the river. 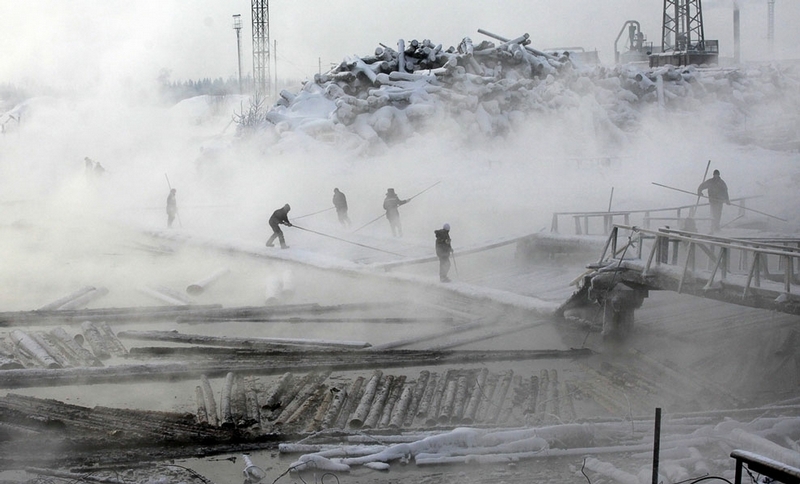 Wood-processing plant on the bank of the Yenisei River in the village of Novoyeniseisk. 2013. 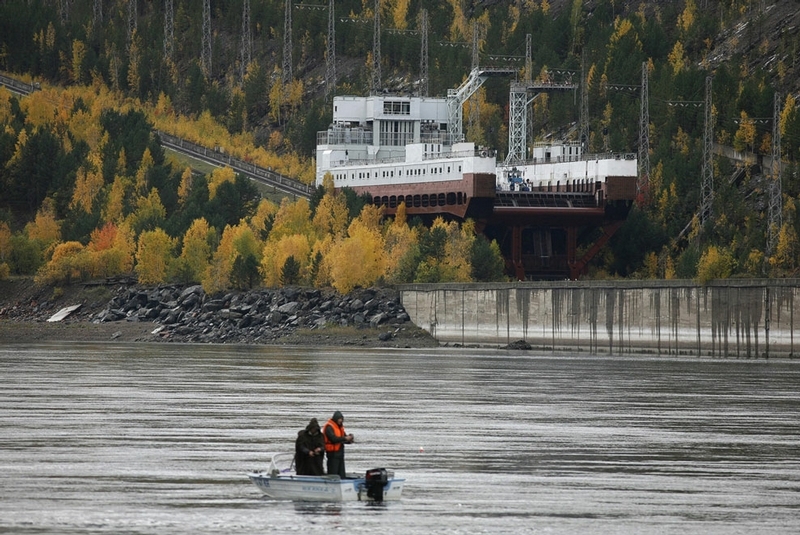 The only ship elevator in Russia, 2012. The river is getting ready for winter. 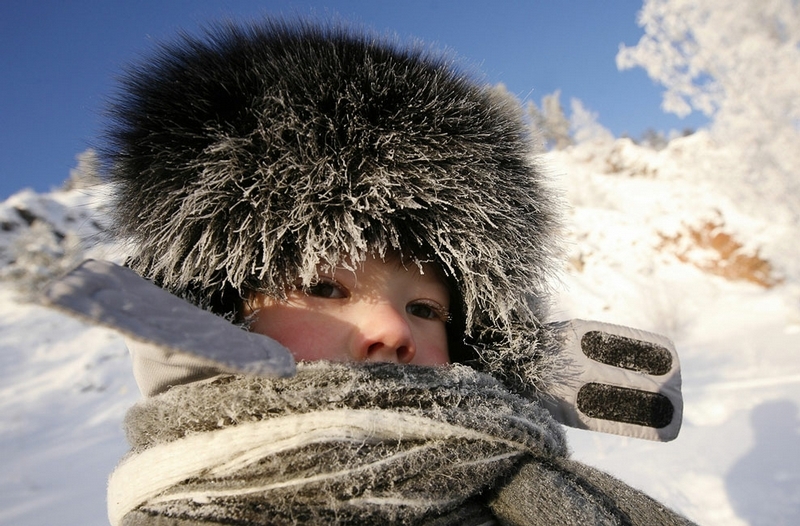 The ambient temperature is -10C. 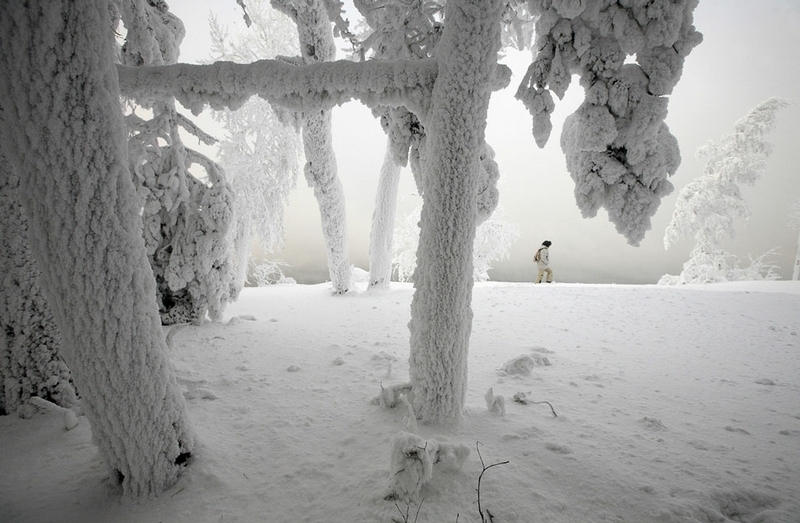 Trees covered with frost on the bank of the Yenisei. The ambient temperature -24C. End of navigation. 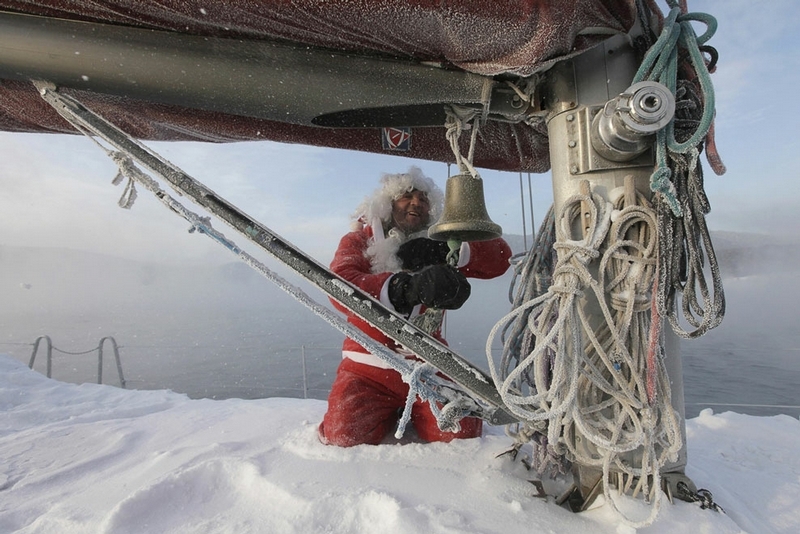 Owner of the handmade boat rings the bell. 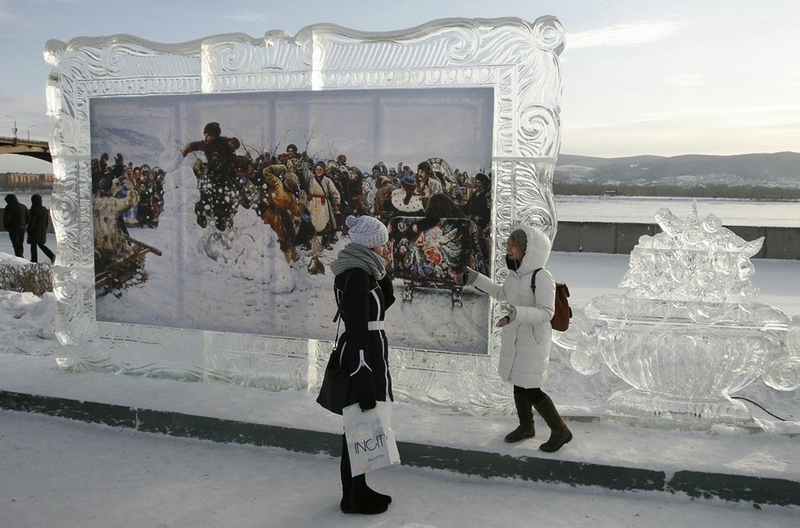 The first international festival of snow and ice “Magic ice of Siberia”, January 2013. 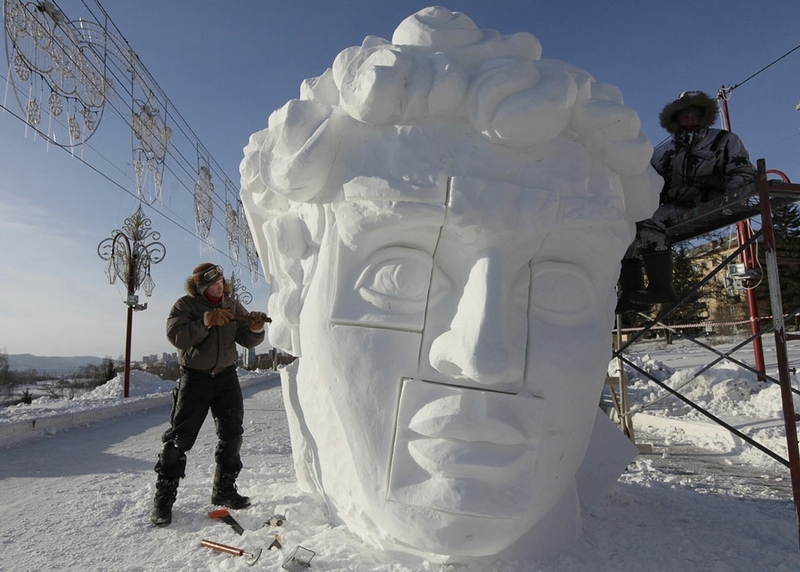 Making a sculpture of an Italian painter Michelangelo. Locals are always ready for winter frost. 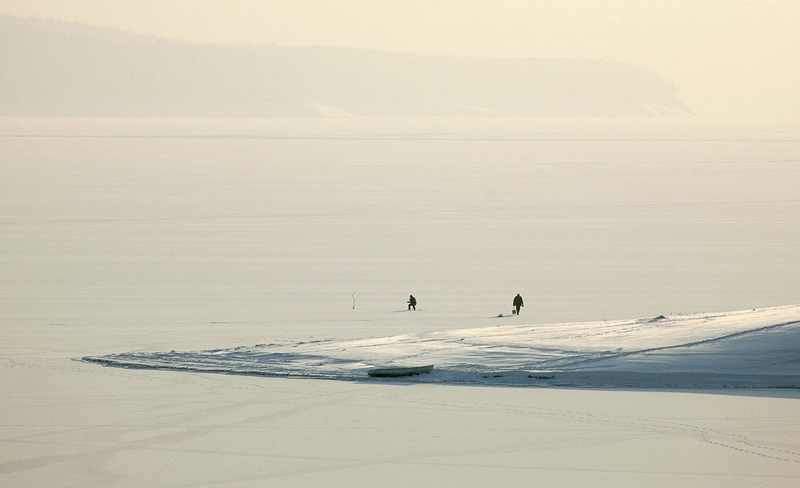 Walking on the ice of the Yenisei. 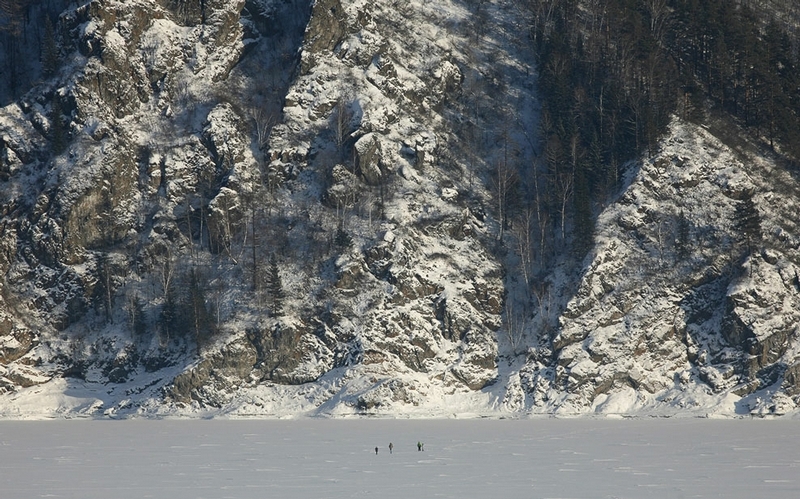 Training of rescuers on the ice of the Yenisei. 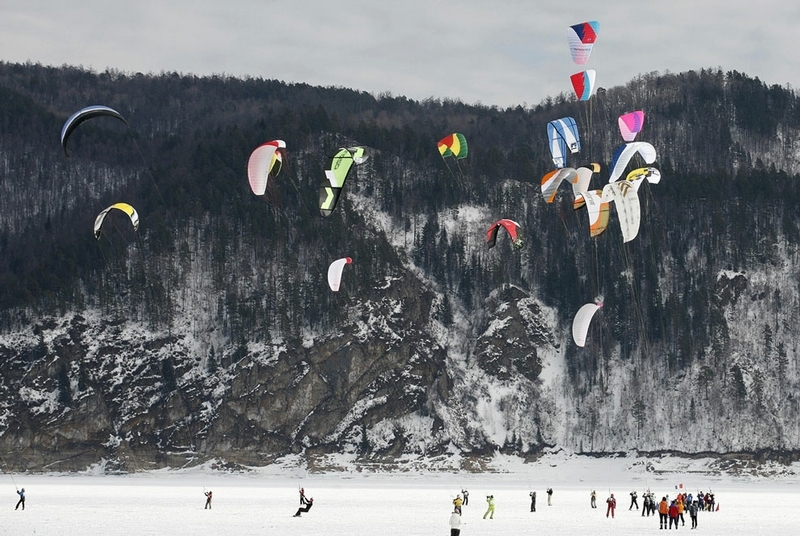 Competition of kiters during the amateur regional championship near the taiga. Winter photoshoot on the bank of the river. 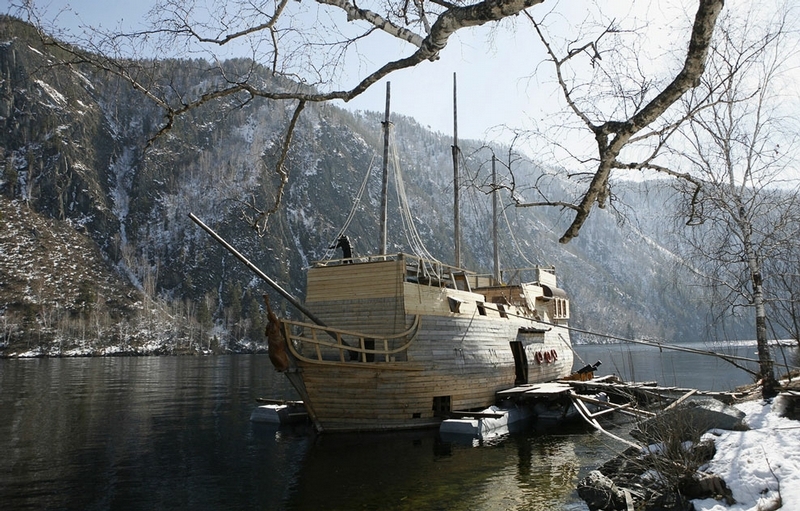 Having watched “Pirates of the Caribbean”, a businessman from a small village Cheremushki decided to build a replica of the “Black Pearl” – the ship of captain Jack Sparrow. 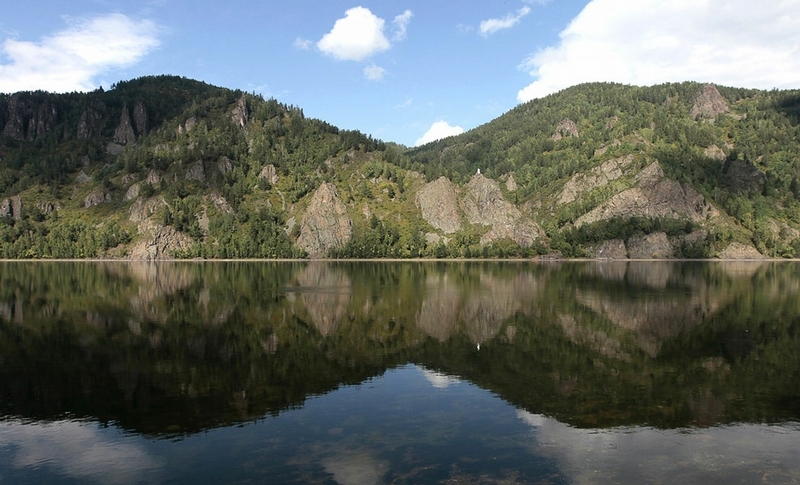 He plans to use it as a tourist attraction of the Yenisei. One of the Russian bads.. 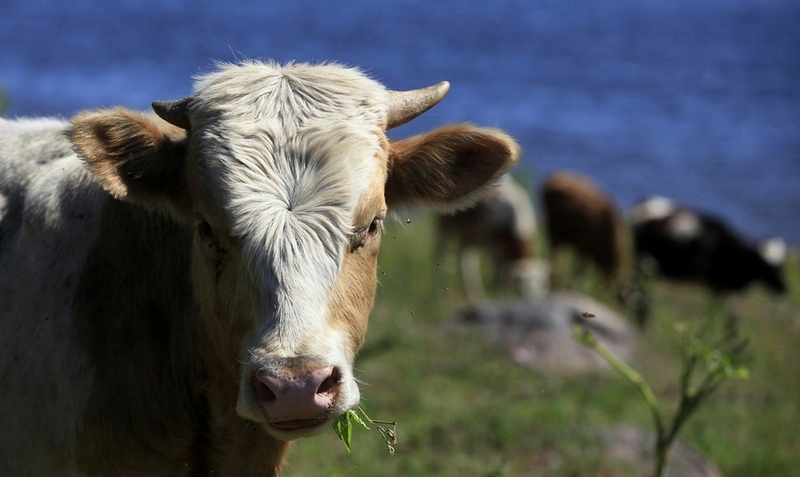 Cows pasturing on the bank of the Yenisei. Handmade milk tanker – motorboat. The man pumps the milk into another capacity. 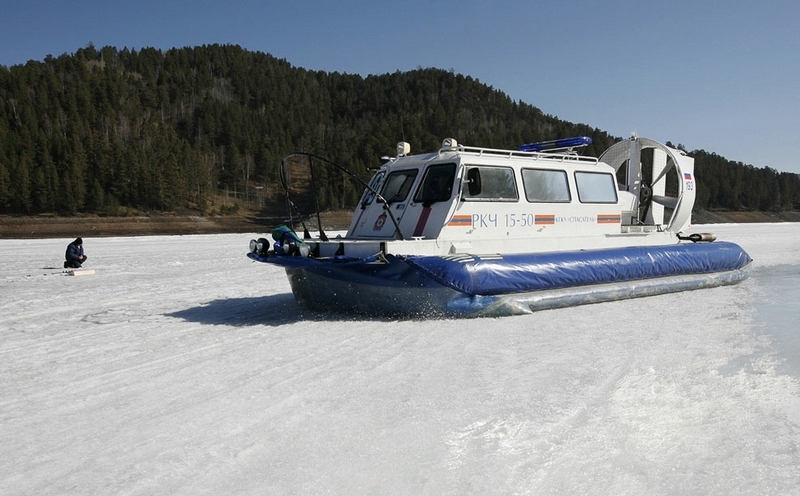 Patrol boat in the Sayano-Shushensky reserve – the place densely populated by snow leopards. 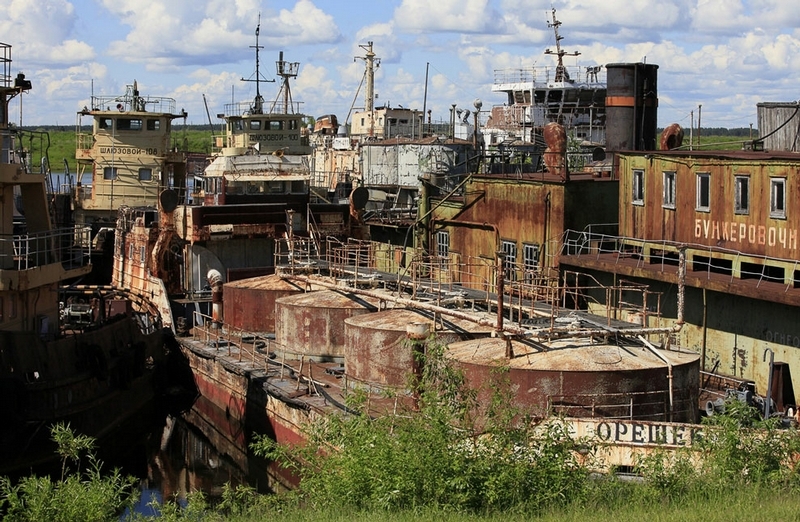 Abandoned ships of the Russian fleet. 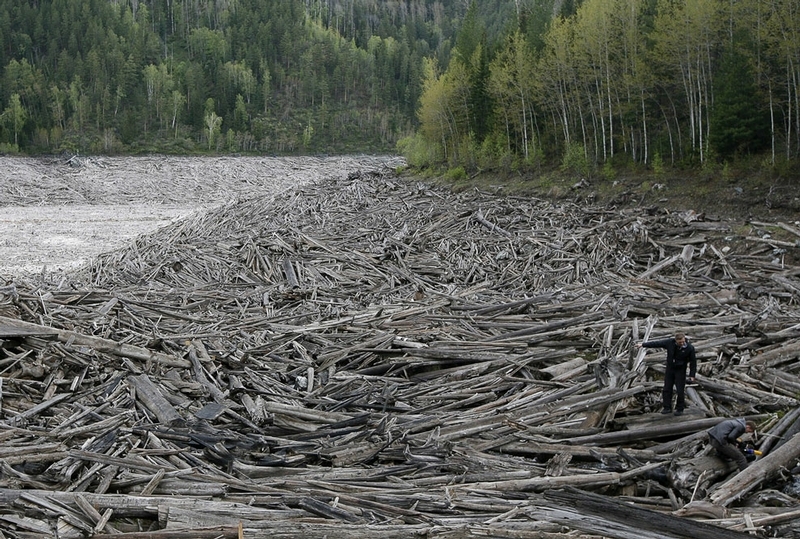 Abundance of logs after dewatering of the Sayano-Shushensky hydro power plant. 2013. 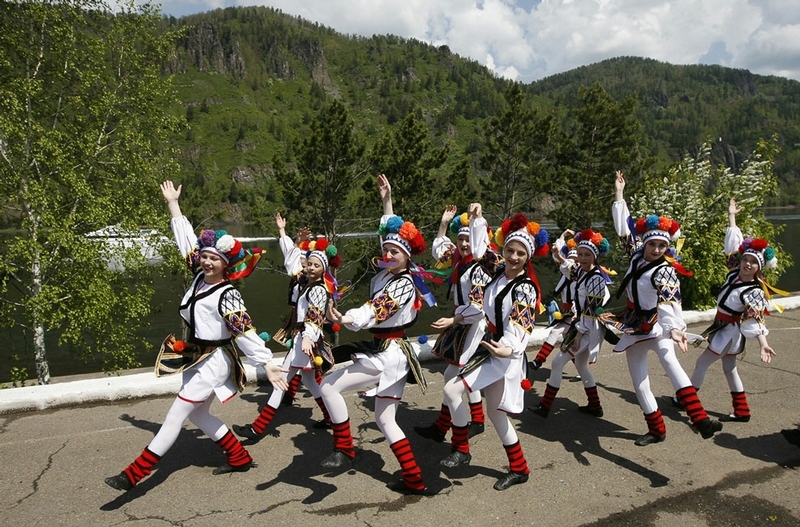 Participants of the children’s musical festival. 2013. 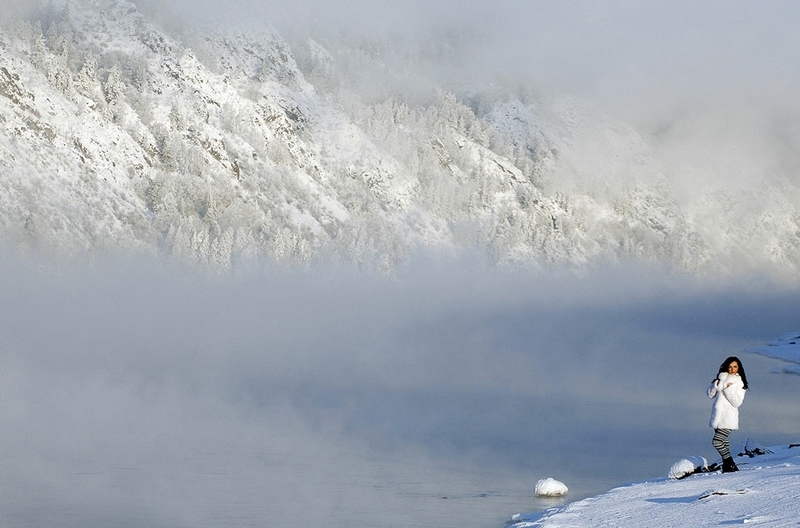 The dam of the Sayano-Shushensky hydro power plant on the Yenisei. 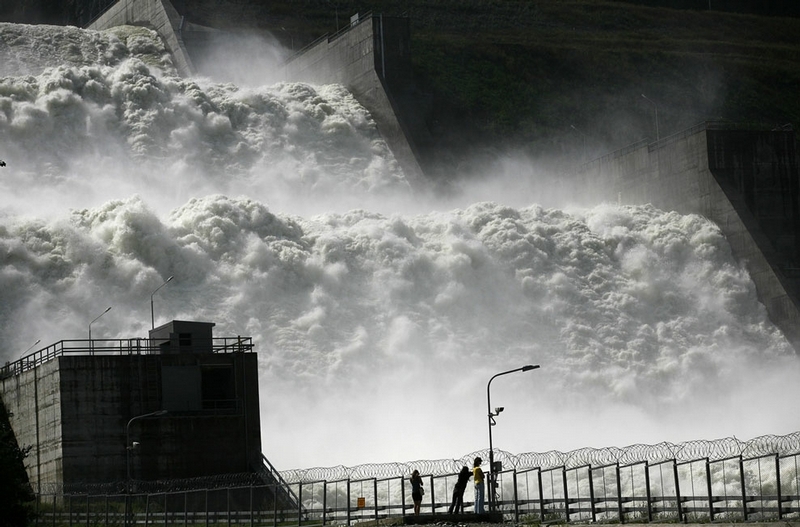 The seventh largest hydro power plants in the world. 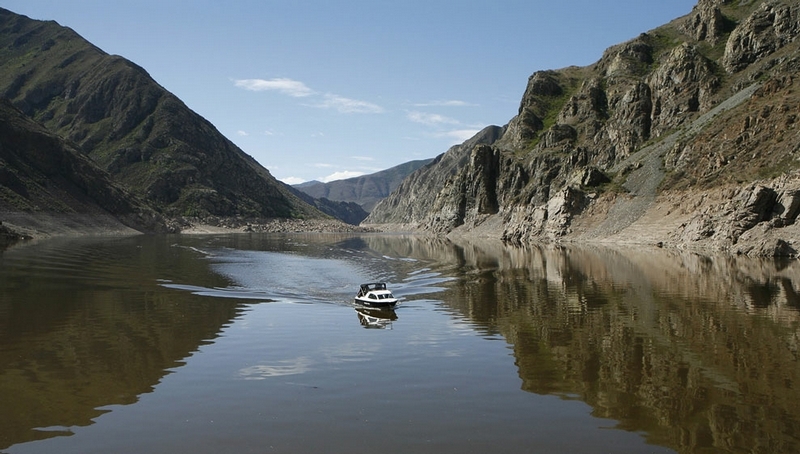 Power of the Yenisei river. 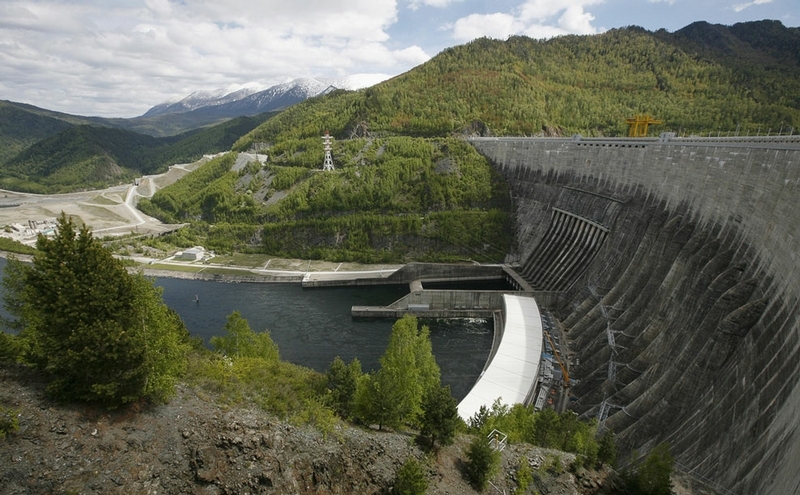 Waterdraining of the Sayano-Shushensky hydro power plant.